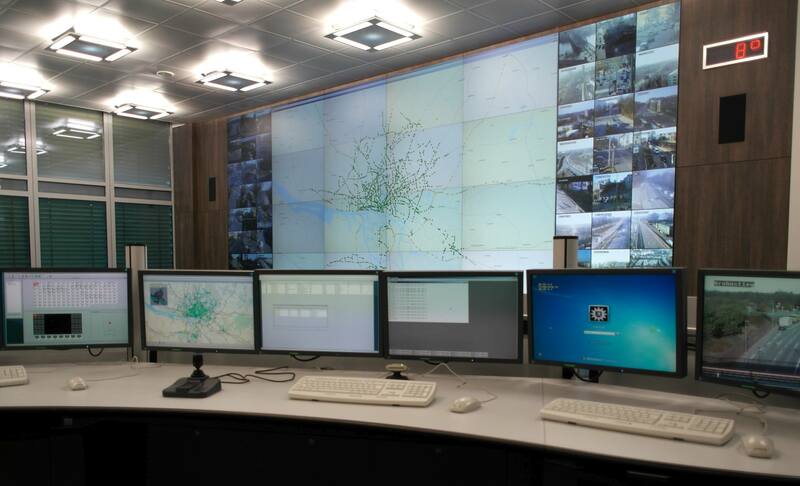 When the Hamburg police wanted to transport the traffic control centre of the Hanseatic city from the 1990s into the new millennium, the project was officially put out to tender. With its innovative concept, SWARCO prevailed against seven competitors. What exactly was it about? Germany's port metropolis Hamburg was to be given a modern, intelligent traffic management system that would always provide a comprehensive overview of the traffic situation and an integrated operating system for all connected systems. Put plainly: it must be possible to intervene in traffic at any time, to influence current developments and to guarantee maximum safety. Not least, the Hamburg system should continue to steer and control Hamburg safely in the future. This is also about a reliable power supply in order to avoid technical failures. It was also the customer's wish that the new traffic control centre should play all the parts ergonomically. You guessed it: Just because Hamburg's traffic management is being adapted to the current state of affairs, the traffic in the Hanseatic city doesn't ever stop! Quite the opposite: as a tourist magnet, the North German port city enjoys great popularity all year round, which is also evident on Hamburg's streets. Thus, the particular challenge of the project was to guarantee 100 percent availability of the VLZ during the construction phase and to provide an interim solution for the operator workstations. SWARCO's solution: all workstations have now been moved to five compartments, the computers to a separate technical room.. The control and switching of the systems was guaranteed from beginning to end - without interruption. As a long-standing partner of the City of Hamburg, SWARCO also impressed with its professionalism, innovation and reliability in this project, which was implemented by the general contractor STS. Let's talk about some technical facts and figures: The eye-catcher of the new VLZ is the 4 x 6 metre LED wall, consisting of 24 LED cubes, for displaying and controlling the approx. 80 cameras installed in the entire city area. But all connected systems are also controlled via the integrated user interface: the traffic computer system with approx. 1,800 signal programmes, the network and traffic control systems (NBA and VBA), a total of 16 LED display panels in the port and the tunnel systems in the City of Hamburg. Of course, all operator workstations are interconnected. This so-called multiconsoling means that any computer can intervene at any time: securely and quickly.